Unfortunately, there is no promotional scheme available on Royalio Casino to assist us in advertising the site. As such we have provided you with an alternative called BoyleSports Casino, which is an impressive gaming site offering a great choice for any type of player. Royalio Casino is one of the newer sites launched through Cozy Games in 2015 which offers the opportunity for you to enjoy that casino experience, without even leaving your couch; something which we at Mobile Bingo Bonuses love. There are an increasing number of casinos available on Cozy Games, which tend to adopt a similar theme. But we were surprised by Royalio Casino, because their look is very similar to some of the high profile casinos such as Roxy Palace. Of course the important part is the games and with Royalio Casino you certainly won’t be disappointed. 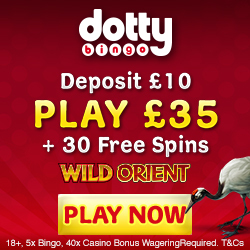 There’s a choice of over 100 casino games, scratch cards and our favourite slots games. If you’re a fan of featured favourites such Five Pirates and Big Ben then you’ve definitely come to the right place. Available on Facebook, Twitter and Google+. For those of you who like to game on the go then you’ll be pleased to hear that Royalio Casino is available on desktop, mobile and tablet devices. For mobile users you simply need to have an Android, Blackberry, Windows or iPhone and you can rid yourself of those mundane activities such as walking the dog or commuting to work; imagine getting to work with a jackpot win! It wouldn’t be a Cozy Games site without a great welcome bonus and that’s exactly what you’ll receive, because for merely adding a few personal details you’ll get a £10 no deposit bonus into your account. This is both a welcome from the site and an ideal opportunity for you to try out many of their huge range of games, before parting with any of your own hard earned money. 2nd deposit 100% cash match bonus up to £500 on a minimum £10. Whether it’s the minimum £10 or the maximum £500, you’ll be doubling your money and increasing your chances of winning. 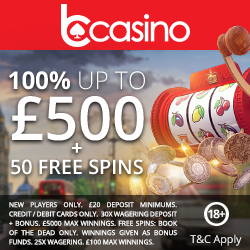 To give you an example for adding £500 on both occasions you’ll receive £2,000 in your account to game with! The Daily Login – Purely for logging into your account you can enjoy a spin of the Royalio Casino fortune wheel. Not only does the wheel generate excitement, but you can also be in with the chance of winning amazing gifts and bonus casino cash. Slots Cash Back – Most of us love trying out the latest slots from the gaming giants out there, so how would 20% cash back sound simply for playing? Royalio Casino enjoy slots gaming just as much as you and because of this they will give you up to 20% cash back automatically, on anything you wager every week. Reloads – There are a number of banking methods available, but for those of you interested in cash deposits then you could receive a bonus reload. The percentage given is dependent on how much you deposit but it could be up to a whopping 100% extra cash. Mid-Week Awesome Surprise – Why not drown those mid-week sorrows with an extra cash top up on a Wednesday and Thursday. You merely need to add between £10 and £50 credit to enjoy this extra little bonus. Weekend Bonus Wonders – Who doesn’t love to celebrate on the weekend, well at Royalio Casino that party fever could end up with you receiving bonus cash back. Deposit on a Friday, Saturday or Sunday to earn yourself 25% cash back and the opportunity to be one of the 3 lucky players to win 100% cash back. With so much on offer we’re sure you’re already eager to tell your friends, so why not earn a little bonus out of it? If your friend registers and deposits, then you’ll receive a £10 Amazon voucher and can purchase yourself a little treat. Although there is a limit on the number of referrals each month, it will still give you plenty of opportunity to enjoy a few extra perks as you game. Most of us love keeping up on the latest via social media, so why not check out Royalio Casinos Facebook, Twitter and Google+ pages. You’ll not only discover the new games available, but also any news and additional promotions. For any of those technical errors or niggly questions, make sure you check out their contacts tab for details on who to contact. Royalio Casino offer customer representative support through email, live chat or on the telephone. They accept the usual banking methods including Credit and Debit Cards, Neteller, Paysafe Cards and pay by mobile. If you’re wondering what on earth pay by mobile is, then we recommend you check out the tab at the bottom of the site. But we always do our best to help at Mobile Bingo Bonuses, so let us tell you a little more about it. Pay by Mobile is the ability to use your mobile contract or phone credit to pay for any gaming credit. Many people have spare credit which they’ve built up and there’s only so many times you can call your mum. Simply provide your 11 digit mobile number and you have the option of using your credit or adding the deposit amount to your mobile bill and paying it off at a later date. The benefits to this banking method include, the fact that you only need to give your mobile details. How many times have you gone to register because of the amazing welcome bonus and it’s taken forever to input all your details. It will also enhance your financial security, because you’re not giving away bank details to numerous online sites. Finally if the pennies are a little tight then you can keep playing and add any credit to your phone bill and pay it off when the bill is due; kind of a credit card without the extortionate interest. To try out this huge range of games and enjoy the amazing offers, simply head over to Royalio Casino to claim the £10 no deposit bonus.